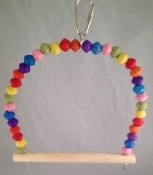 This Multicolored swing features dozens of small wooden balls, rope, and plastic rings. 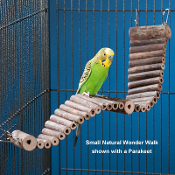 This swing is excellent for medium to large-sized birds (goffins, african greys, large conures, etc. 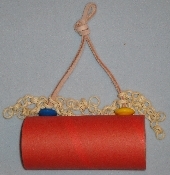 The exterior dimensions are 19" x 10". ?